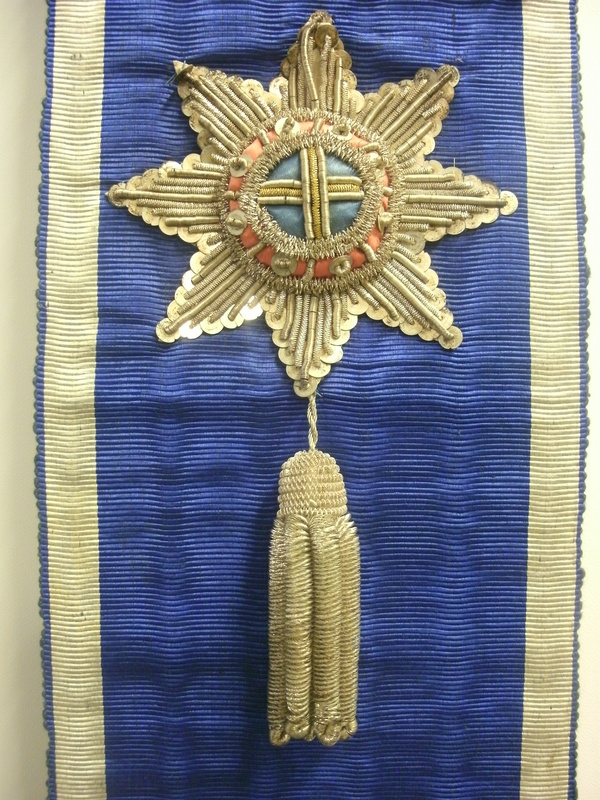 This sash of office was worn by the Grand Master, the head of the Oddfellows lodge, and dates from the mid-19th century. The name Oddfellows refers to a number of friendly societies and fraternal organisations operating across the United Kingdom. It also refers to a number of Lodges with histories dating back to the 18th century. These various organisations were set up to protect and care for their members and communities at a time when there was no welfare state, trade unions or National Health Service. The aim was (and still is) to provide help to members when they need it. It was in this same spirit of community that John Hayward allowed the local Oddfellows to use Abbot’s Hall land, with the Oddfellows and Foresters’ Gala held on the cricket ground. At one point there were three lodges in Stowmarket; the Loyal Gipping Lodge, Loyal Persevererance Lodge (female) and the Loyal Temple Of Friendship Lodge. The Gipping Branch of the Oddfellows survives to this day.